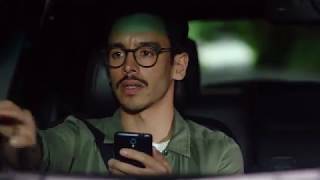 Stay connected to Canada’s fastest network with TELUS Drive+, the latest in connected car technology. Get smart notifications with real-time vehicle alerts and even turn your car into a WI-FI hotspot. Experience the ultimate connected car. Receive smart notifications about everything from low battery alerts to vehicle errors. You’ll feel better knowing you can track your car’s location and set boundary notifications for peace of mind. See your trip history and easily track your mileage. You can also track your driving behaviour like harsh braking to improve your habits and maintain your car. Get smart notifications when your car’s battery or fuel level is low. Receive error codes to find out exactly what’s wrong with your car. Get notified in the event that your car is bumped or towed while you’re not there. Set boundaries for your car and get notified if your car crosses them. Easily track, manage, and export your personal and business trips, and learn about trip details like fuel efficiency and distance travelled. Turn your car into a Wi-Fi hotspot and connect up to 5 devices on the TELUS 4G LTE network. Keep track of the location of all of the cars in your family’s fleet and receive notifications when they start and stop trips. Set a maximum speed for your car and get notified if someone else driving exceeds it. Monitor driving behaviours like rapid acceleration and harsh braking to better maintain your car and improve your driving. Check if your car is compatible with Drive+ using our compatibility tool. Download the Drive+ app and scan your device to set up your account. Plug the Drive+ device into your car’s OBD-II port and start driving your connected car. Can I use TELUS Drive+ with my car? Most cars from 1996 and newer have an OBD-II (On Board Diagnostics version 2) port that the device plugs into. Receive car alerts like Diagnostic Trouble Codes (DTC) to understand why the engine light is on, and when you should visit a mechanic. Track battery levels and get notifications if you leave the car lights on. How do I install TELUS Drive+? The TELUS Drive+ app will show you how to locate your on-board diagnostics (OBD II) port and how to install the device. 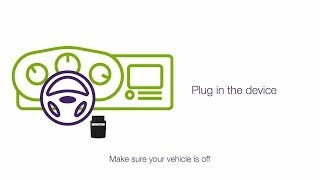 Always make sure that your car is turned off when plugging in or removing the TELUS Drive+ device. Once the device is installed and your car is turned on, TELUS Drive+ will start working to collect data from your car quickly – usually within a few minutes. Our step by step Quick Start Guide explains how to properly setup the device. How does TELUS Drive+ work when travelling outside Canada? Unfortunately, roaming is currently not supported on Drive+. All customers will be notified as soon as this feature is available. What happens when I exceed my monthly data limits? TELUS Drive+ will use data from your rate plan through the Wi-Fi Hotspot. When the TELUS Drive+ Wi-Fi is turned off, the device still uses a small amount of data for the vehicle tracking portion of the service. This small amount of data will deduct from your monthly shared data whenever the car is driving. TELUS Drive+ adds a shareable 1 GB bonus for all devices to use and can access all the shared data on your account. If you go over your data on your share plan, you can purchase shareable top-ups for all your shared devices to use, or pay domestic data pay-per-use rates. Using a lot of data? You can always upgrade your smartphone plan's shared data add-on. Will TELUS Drive+ drain my car’s battery? The TELUS Drive+ device has an internal battery and also goes into sleep mode when your car is not being used, which will help prevent battery drain. However, if you plan to park your car for a long period of time (several weeks), you should unplug the device to conserve battery power. How secure is TELUS Drive+? The device, communication and app include security protection. The TELUS Drive+ device only reads information from your car. It cannot send information to affect your car's computer or change the way your car works. All data is encrypted for your protection.